Welcome to the Library's Plagiarism Tutorial. 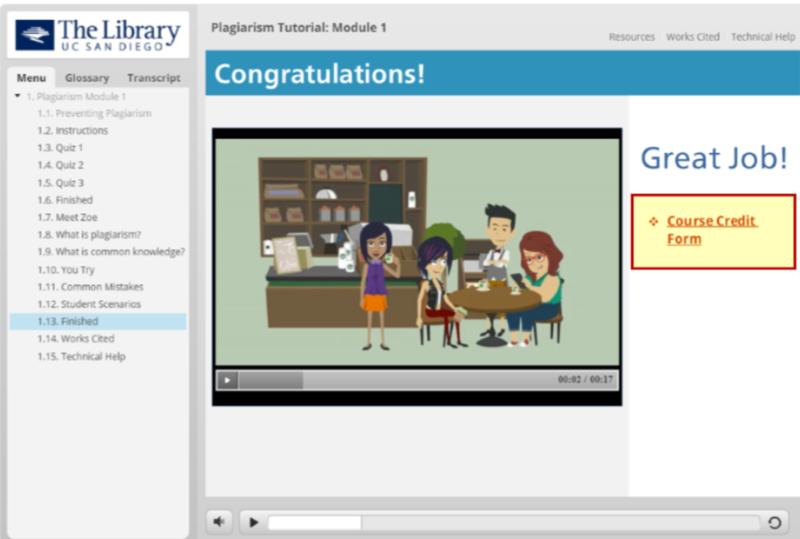 If you are taking this tutorial for the Strategies & Tools to Prevent Plagiarism Workshop, you need to complete all three modules. Make sure you complete the Course Credit Form at the end of EACH module to receive credit. For the Course Section/Instructor Name, use the drop down menu to select Strategies & Tools to Avoid Plagiarism/Academic Integrity Workshop. If you need technical support please email Library Learning Services. Email is monitored Monday through Friday. *This tutorial uses flash. If you are having difficulties you may need to update Adobe Flash Player.